The Iranian president Ahmadinejad has volunteered to go the space by his country's space programme. 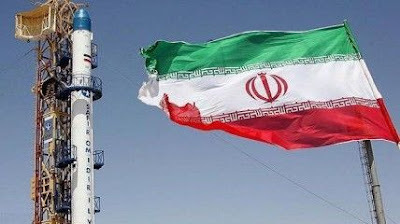 "I am ready to be the first human to be sent to space by Iranian scientists," Ahmadinejad told a group of scientists in Tehran gathered to celebrate the country's space achievements, according to the semi-official Mehr news agency. Ahmadinejad was speaking at an event organised for the anniversary celebration of the 1979 Islamic revolution. It may be added that Iran recently sent a monkey in space and retrieved it alive back on earth. The Iranian sciencetists hailed as a major step towards their goal of sending humans into space.